It’s #LoveAudio Week this week, and we’re celebrating some of our best-loved historical authors and their audiobooks. 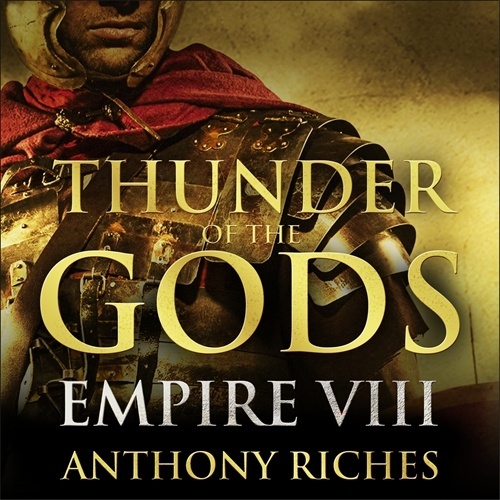 Top of the list is Anthony Riches, author of the Empire and Centurions series. Marcus Aquila has scarcely landed in Britannia when he has to run for his life – condemned to dishonorable death by power-crazed emperor Commodus. The plan is to take a new name, serve in an obscure regiment on Hadrian’s Wall and lie low until he can hope for justice. Then a rebel army sweeps down from north of the Wall, and Marcus has to prove he’s tough enough to lead a century in the front line of a brutal war. Marcus Aquila – burning for revenge on an enemy that has killed one of his best friends – rides north with the Petriana cavalry. He believes his disguise as Centurion Corvus of the 2nd Tungrians is still holding. But he is just a few days ahead of two of the emperor’s agents, sent from Rome to kill him. Pitiless assassins who know his real name, and too much about his friends. Britannia has been subdued – and an epic new chapter in Marcus Valerius Aquila’s life begins. The murderous Roman agents who nearly captured Marcus have been defeated by his friends. But in order to protect those very friends from the wrath of the emperor, he must leave the province which has been giving him shelter. As Marcus Tribulus Corvus, centurion of the second Tungrian auxiliary cohort, he leads his men from Hadrian’s Wall to the Tungrians’ original home in Germania Inferior. There he finds a very different world from the turbulent British frontier – but one with its own dangers. Tungrorum, the center of a once-prosperous farming province, a city already broght low by the ravages of the eastern plague that has swept through the empire, is now threatened by an outbreak of brutally violent robbery. A bandit chieftain called Obduro, his identity always hidden behind an iron cavalry helmet, is robbing and killing with impunity. His sword – sharper, stronger and more deadly than any known to the Roman army – is the lethal symbol of his unstoppable power. And now he has moved beyond mere theft and threatens to destabilize the whole northern frontier of the empire . 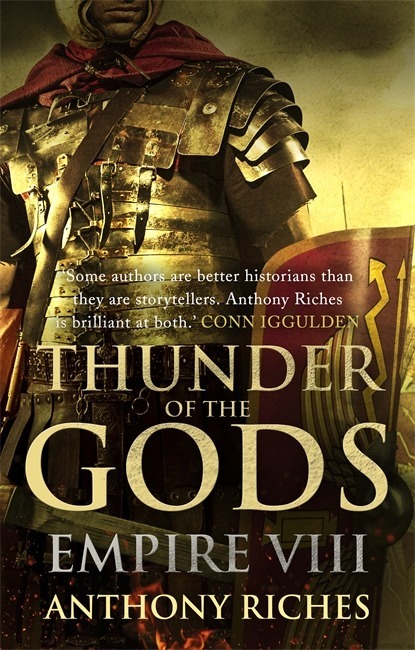 . .
Fresh from their victory in Germania, Marcus Aquila and the Tungrians have been sent to Dacia, on the north-eastern edge of the Roman Empire, with the mission to safeguard a major source of imperial power. The mines of Alburnus Major contain enough gold to pave the road to Rome. They would make a mighty prize for the marauding Sarmatae tribesmen who threaten the province, and the outnumbered auxiliaries are entrusted with their safety in the face of a barbarian invasion. Beset by both the Sarmatian horde and more subtle threats offered by men who should be their comrades, the Tungrians must also come to terms with the danger posed by a new and unexpected enemy. They will have to fight to the death to save the honour of the empire – and their own skins. The Tungrian auxiliary cohorts return to Hadrian’s Wall after their successful Dacian campaign, only to find Britannia in chaos. The legions are overstretched, struggling to man the forts of the northern frontier in the face of increasing barbarian resistance. The Tungrians are the only soldiers who can be sent into the northern wastes, far beyond the long abandoned wall built by Antoninus, where a lost symbol of imperial power of the Sixth Victorious Legion is reputed to await them. Protected by an impassable swamp and hidden in a fortress atop a high mountain, the eagle of the Sixth legion must be recovered if the legion is to survive. Marcus and his men must penetrate the heart of the enemy’s strength, ghosting through a deadly wilderness patrolled by vicious huntresses before breaching the walls of the Fang, an all-but-impregnable fort, if they are to rescue the legion’s venerated standard. If successful their escape will be twice as perilous, with the might of a barbarian tribe at their heels. The Emperor’s Knives brings Marcus Aquila back to Rome, hunting the men who destroyed his family. But the revenge he craves may cost him and those around him dearly. The young centurion’s urge to exact his own brutal justice upon the shadowy cabal of assassins who butchered his family means that he must face them on their own ground, risking his own death at their hands. A senator, a gang boss, a praetorian officer and, deadliest of all, champion gladiator Mortiferum – the Death Bringer – lie in wait. The knives are unsheathed, and ready for blood . . .
Marcus Aquila and his Tungrian legion embark on a dangerous mission to the heart of the Parthian empire. With Rome no longer safe Marcus and the Tungrians are ordered east, to the desolate border lands where Rome and Parthia have vied for supremacy for centuries. Ordered to relieve the siege of an isolated fortress, their task is doomed to bloody failure unless they can turn the disaffected Third Legion into a fighting force capable of resisting the terrifying Parthian cataphracts. And Marcus must travel to the enemy capital Ctesiphon on a desperate mission, the only man who can persuade the King of Kings to halt a war that threatens the humiliation of the empire and the slaughter of his friends. The Tungrians have no sooner returned to Rome than they find themselves tasked with a very different mission to their desperate exploits in Parthia. Ordered to cross the river Rhenus into barbarian Germany and capture a tribal priestess who may be the most dangerous person on the empire’s northern border, they are soon subject to the machinations of an old enemy who will stop at nothing to sabotage their plans before they have even set foot on the river’s eastern bank. But after their Roman enemy is neutralised they face a challenge greater still. With two of the Bructeri tribe’s greatest treasures in their hands they must regain Roman territory by crossing the unforgiving wilderness that was the graveyard of Roman imperial strategy two hundred years before. And capture by the Bructeri’s vengeful chieftain and his warband can only end in one way – a horrific sacrificial death on the tribe’s altar of blood. Rome, AD 68. Nero has committed suicide. One hundred years of imperial rule by the descendants of Julius Caesar has ended, and chaos rules. And Civilis, Kivilaz to his countrymen, heroic leader, Roman citizen and patriotic Batavi, will change both the course of the Empire’s destiny and that of the centurions.